Underpronation or supination is a common health condition which appears when the foot rolls to the outer side of the foot or in the so called Gait cycle. This condition is especially common in people who have high arches or narrowed Achilles-heel. If the situation with your feet is normal, then the foot touches the ground with the heel first and after that the impact goes to the front part of the foot. However, if you are suffering from underpronation or supination, the foot can’t properly absorb the impact. This condition can lead to many serious problems like injuries and pain and that’s why you must look for adequate shoes. These specially designed shoes will help you correct the gait and spare you from more serious consequences. The best walking shoes for underpronation are made from quality materials that provide support to the feet. In this article you will find a short list of the best walking shoes for supination. Read more about their properties and choose the one that suits your lifestyle and preferences the best. 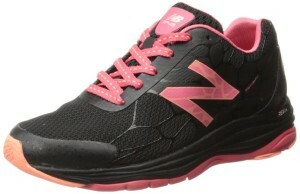 New Balance is an American-based footwear company. This year, they will celebrate 110 years of existence. The constant investment in new footwear technology and improvement of existing technology are some of the things that keep New Balance among the most successful footwear companies in the world. This model was made for women who are dealing with supination. Of course, any other woman can use them because they provide suitable support for your feet and promote proper walking. New Balance Women’s WW1745 Walking Shoes have received the Prevention Magazine Award for the best walking shoe for women dealing with foot problems. Even though these shoes are very lightweight, they will definitely keep your feet’s stability. They come in three different colors, so it is very easy to match them with any outfit. These athletic shoes have rubber sole with good grip, they use Fantomfit technology which means you can put them on your feet quite easily and the ethylene vinyl acetate outsole and rubber sole guarantee long comfort. According to many users, they were able to walk for more than 6 miles without feeling any problems. One of the reasons for that is the abundance of cushioning. They are definitely worth the price. It looks like New Balance has invested a lot in shoes that are suitable for women suffering from supination/ underpronation. This is another exclusive model that will help wearers avoid further complication of this problem. They come with a manually made sole and high-quality fabric. They are available in only one color – a combination of grey and pink, but the colors are discreet, so you can wear them with anything you want. This model comes with special ABZORB cushioning a technology that helps our feet absorb the impact from the ground in the best way. Thanks to the extremely breathable mesh users can expect great air flow. It might seem that Saucony is a relatively new brand on the market because they don’t have such a huge share of the market, but the truth is that Saucony is a very old American footwear manufacturer. They produce different types of athletic shoes and we will now focus on one model that has proven to be great for people facing underpronation problems. The first thing we need to point out is that full-grain leather used as a basic material for these shoes. This means that they are perfect for every weather condition. 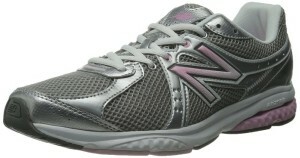 They also have Walk-Trac comfort outsole for extended comfort and extra cushioning. They also have very durable rubber sole. 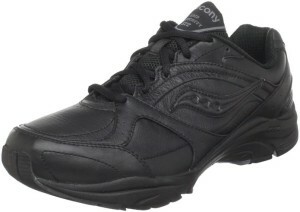 Saucony Progrid Integrity come at a very low price. The US Leading Indicator leads the economy by about 12 months (give or take). The relative flatness the indicator has deormstnated over the last few months indicates the earliest a recession could begin is summer 2013.